@loli I liked Greatest Love and My Gilrfriend is a Gumiho, even Delightful Girl, I haven't seen Hong Gil Dong and Fantasy Couple (I've heard good things about both of them), but I wasn't crazy about You're Beautiful and My Girl (I know everybody liked it), and I was really disappointed with Big. What I can say about their dramas is that they are not too profound and they accommodate the audience. You need to see Hong Gil Dong. drop whatever you're doing and watch it!! its a MUST TASK FOR YOU LOL. i haven't seen Fanstasy Couple either so i am not sure if it is good and worth the watching for me yet. Yea, Big was a disappointment for me. the drama was just stupid. i know they were trying to bring Gong Yoo back to the mini drama but using that drama was not a good one. the story line was stupid. i did not even watch it either just keep skimming so i can know what happen. I was really disappointed with 'Big' so hopefully, the Hong sisters will redeem themselves with this drama. I love So Ji Sub so I'll definitely tune in for this drama! here's the list of the Hong Sister's drama i've watched, in order of Preference1) Best Love2) You're Beautiful (really close to Best Love)3) Fantasy Couple4) Hong Hil Dong5) My Girl6) My Girlfriend is a Gunmiho...100) BigLol. i have'nt watched Delightful Girl... and i think i would never do. i can't stand the lead girl since i watched Only You (worst drama ever!!!) sorry for those who like her or it. I love Delightful Girl Choon Hyang very much.I hope I will love The Master's Sun. @antoniaclamens : Thank you I'm glad you like it. OMG, this sounds so interesting, can't wait to see it! The show has an intriguing-sounding premise in that it’s a romantic comedy with horror elements; following an accident, the heroine becomes able to see ghosts. She feels cast off by the world and has lost hope in herself, which contrasts sharply with the self-centered and haughty hero who learns to (presumably) mature as a human being. Her “gloomy and quick to tears” heroine sounds a bit dire, but since it’s the Hong Sisters I do expect the dolor to be undercut with comedy; for instance, Gong’s character is too afraid to sleep at nights, which I foresee posing a problem since she has a full-time day job as a secretary. So Ji-sub plays the company president who sees people in terms of monetary worth. Can you imagine her falling asleep at crucial office moments? Hilarious. This means Gong Hyo-jin will be the writer pair’s star for the second time, after playing a washed-up former idol in Best Love, which is good news; she has a lovely groundedness to her acting that actually works very well with the Hong Sisters’ brand of absurdity. It worked particularly well in Best Love, because no matter how insane Cha Seung-won got (and he got pretty wacky), her emotional throughline felt real. Gong explained being drawn to the project for its blend of irony and horror, which I hope is an aspect that gets full mileage — I LOVED the horror quirk of Arang and the Magistrate and was sad when it went away. So Ji-sub is one of those actors I’ve been wanting to see tackling more comedy for a while now, just because he’s got such a heavy, melodramatic image. He hasn’t gotten in touch with his softer side in years, so either he’ll be really rusty at it, OR he’ll be unexpectedly fresh and surprise us with a little-before-seen goofy side. Hey, it totally worked for Cha Seung-won and Kim Tae-hee. If he manages to really sell the part of the guy who “gets intoxicated on the sight and sound of himself,” how hilarious would that be? With PD Jin Hyuk of City Hunter and Prosecutor Princess also attached, so far Master’s Sunsounds pretty promising, even if it does sound an awful lot like Chilling Romance. At least he’s not a magician who conjures ghosts this time too. Truth be told, if not for the colossal suckage that was Big, I’d be a lot more excited about this. But I’m not about to write off anybody for one flop, especially when their work has given me so many hours of enjoyment otherwise, so I’ll be approaching with enthusiasm, albeit muted. Master’s Sun will air on SBS in August. 1) Cha Seung Won2) Ding Dong3) the guy who played Gu Ae Jung's brother is a very close SJS's friend4) Yoon Kye Sang who played one of my faves bromances with SJS in Road Number 15) Shin Min Ah who has awesome chemistry with SJS in Giordano's CF6) Kang Ji-hwan who worked with SJS in the awesome Rough Cut7) Sung Yu Ri who worked with SJS in Thousand Years of Love8) Gong Yoo in a Hello My Teacher reunion 9) No Min Woo and Jang Geun Seok because i like them so muchalmost forgot Doko Jin's assistant worked with SJS in Ghost (Phantom)of course that would be asking to much, wouldn't it? Everyone's saying that TMS sounds like the movie Chilling Romance, should i watch it? maybe Hong Sisters will make some jokes and references about it? Here's an interesting idea for a drama: a romcom/horror drama. That's the description that has been given for the upcoming SBS drama "The Sun of My Master," which this week confirmed the selection of its main actors. Actor So Ji Sub has signed on to play Joo Joong Won, a greedy CEO who values money above everything else. Actress Gong Hyo Jin will play Tae Gong Shil, a sensitive assistant, who is easily reduced to tears. Well, that takes care of the romantic comedy part, but which part of this story is the horror part, you might well ask? The horror part has to do with ghosts. Following her accident, Tae Gong Shil can see these ghosts and as a result suffers from insomnia. 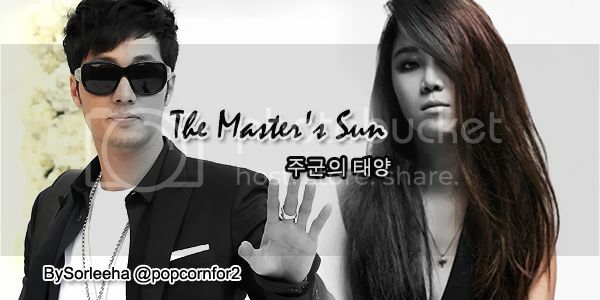 When she tells people she can see ghosts, no one believes her, least of all Joo Joong Won. Given the description of the drama as being at least partly horror, viewers can assume the ghosts she sees are not the friendly kind. And they probably create some problems, which only Tae will have the power to prevent. In the course of the drama, Joo, who only believes in concrete things, must learn to trust Tae, who sees things that no one else is able to. In the process, they grow together and he learns to love her. 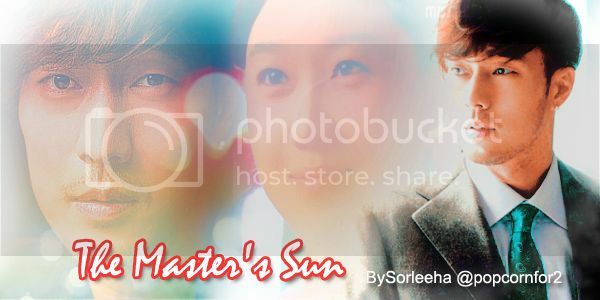 "The Sun of My Master" was written by the famous Hong Sisters, who are known for the dramas, "You're Beautiful," "My Girlfriend is a Gumiho," "Big" and "Greatest Love." Both "My Girlfriend is a Gumiho" and "Big" had supernatural elements. So Ji Sub has not appeared in a drama since he played the roles of detective/hacker Kim Woo Hyun/Park Gi Young in the series "Phantom." It will be his first romantic comedy in a decade, since he appeared in "We Are Dating Now." He has never worked with the Hong Sisters before. Gong Hyo Jin has not been in a drama for two years since she worked with the screenwriters in "Greatest Love." According to the drama production company, Bom Factory, "We concentrated on casting actors that best fit the characters, actors who are expressive and can convincingly convey emotions such as joy, fear and tears. Viewers are thirsty for such basic emotions." Jin Hyuk will produce the drama. He is known for his work on "Shining Inheritance," "Prosecutor Princess," and "City Hunter." 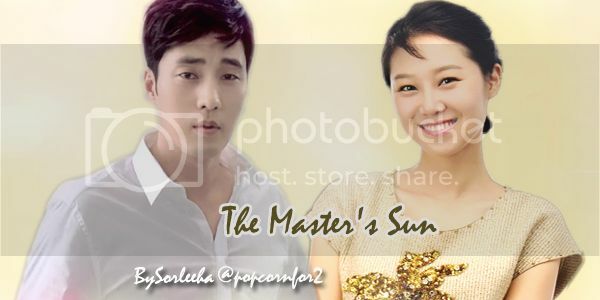 "The Sun of My Master" will premiere on SBS in August.